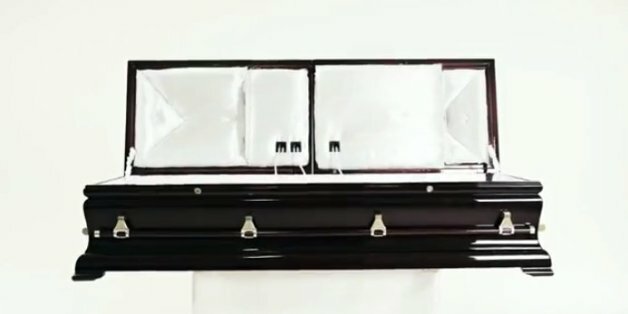 Next time you are buying a flat screen TV and tree trimmings for Christmas, get yourself a non-emotional or non-threatening casket. Of course, Morris works the night shift. Other than the crazy vampire stuff, he's a good boy and a hard worker. I have great news. I'm here to tell you something that's sure to raise your spirits. Are you ready for this? After we bite the dust, kick the bucket, leave for Headstone Park in a pine condo, we can continue to have telephone conversations with those we leave behind.